Experience the sights and sounds of New York's 'BROADWAY! with this Spectacular show! 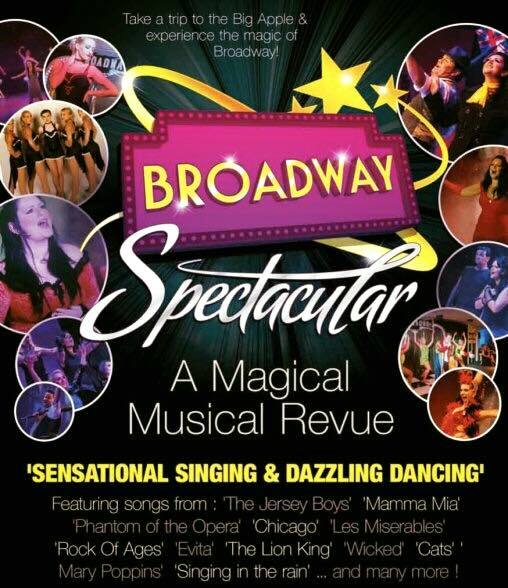 A sensational cast of 10 international performers present a selection of songs from the greatest Broadway & West End Musicals of all time! Book your tickets today to avoid disappointment!